The new Bajaj Avenger 200 DTSi offers a good cruising experience with its low-slung rider seat, phenomenal brake system, advanced engine and gear box. The 5-speed gearbox and a neat oil-cooler ensure lowered temperatures. 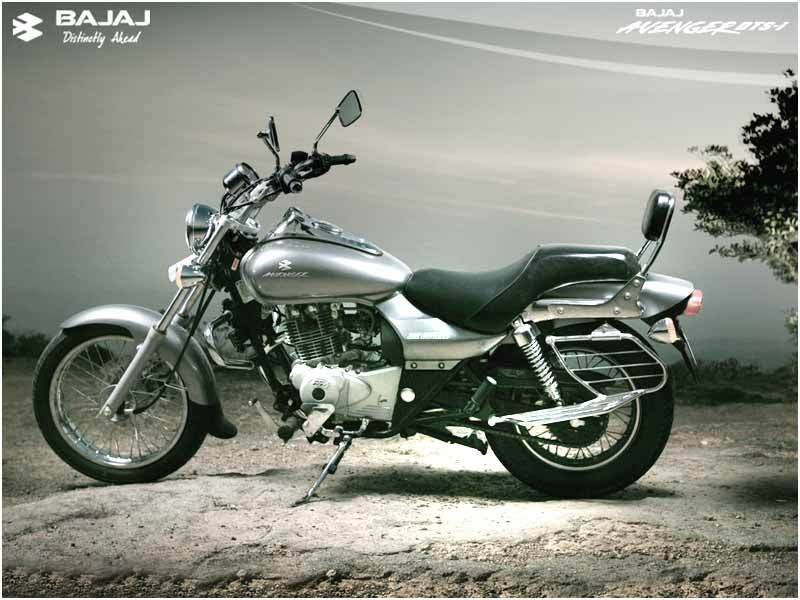 The new version of Bajaj is modeled along conventional lines with the purpose to lend a near-classic appeal with its glitz-quotient. Its distinct features include a lowered center of gravity above the splayed-out front forks and spoke wheels typical of cruiser bikes, while the innovation continues with the big windscreen, protecting rider against harsh wind blow when travelling at higher speeds. The easy readability of the speedometer unit housed in a single chrome case empowers the rider the best long trip. 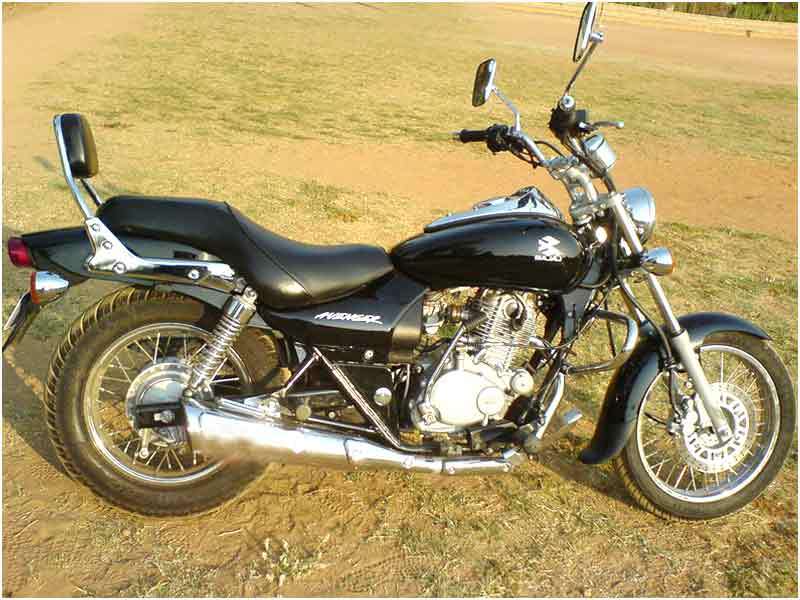 Bajaj Avenger 200 DTS-i has a 198.8cc 4-stroke engine, a reminiscent of the Pulsar's 200 DTS-I, which depends on a single cylinder used to measure short stroke dimensions. The design seems to work for the Avenger and hence no complaints so far. However, the better innovations applied to the Avenger include Bajaj duo spark-plug technology for enhanced engine performance and greater fuel economy. The 5-speed gear-box is smooth, offering a positive feel to the ride and a crisp performance with good throttle and wide power spread ability; 17.5bhp at 8000 rpm being its top power with a max torque of 1.71kg-m at 6000 rpm. A top speed of 110 kmph can be achieved under good road conditions. The Avenger 200cc is a low-rise cruiser with a chrome body and stylish looks. A set out front wheel, passenger back rest, broad seat and a big fuel tank add to the macho looks. A tubular double cradle with rectangular swing and the longest wheel base of the segment give the Avenger a very sporty look. It has disc brakes on the front and drum brakes for the rear. The low seat of the Avenger may feel awkward for those who are used to riding street bikes. The jerky clutch which used to plague earlier versions of Pulsar has almost been perfected and hence free from any issues so far. Even though the gears are smooth to operate they could still be improved as compared to other bikes. Bajaj Avenger 200cc DTSi promises for easy and comfortable ride and gives excellent mileage ranging from 30-35 kmpl. 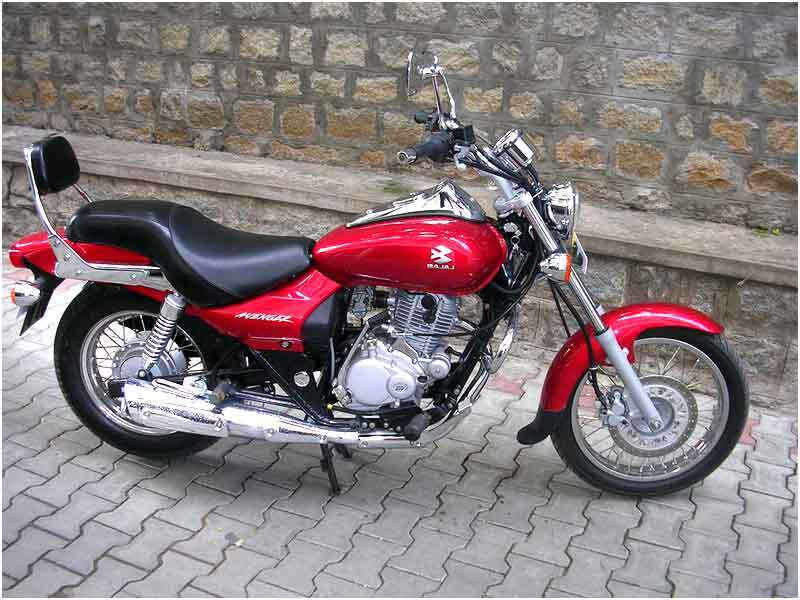 The colour variants of Bajaj Avenger-200 DTSi come in black, red, silver and blue. Avenger is priced at about Rs. 65,000 (ex-showroom).